Our Peoria, IL area team took a fun "spin" on fundraising this weekend at their Bowl for Orphans event. 8 individuals from the area are traveling to Malawi this summer and decided to have a little fun this Saturday. 115 people attended for breakfast and bowling. 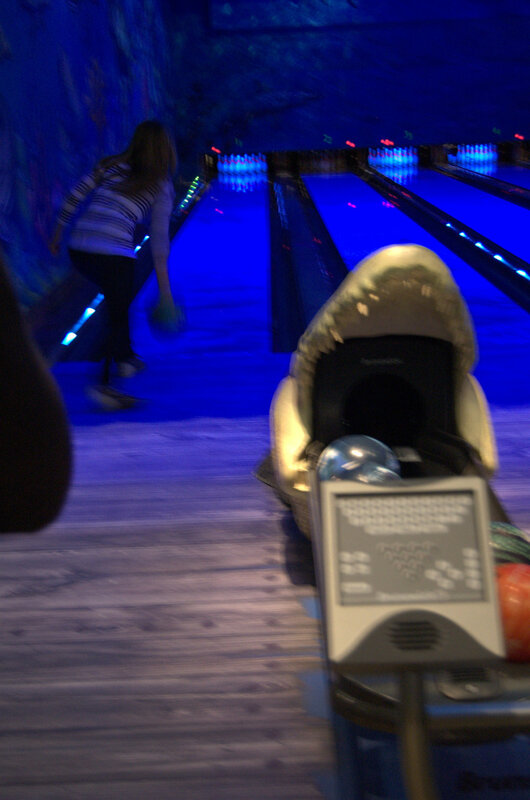 Bass Pro Shop's Fish 'N Bowl provided breakfast and bowling so that 100% of the proceeds could go to the programs here at Circle of Hope International and to the cost of the team's trip. A huge thank you to those of you who attended the event, sponsored a lane, or have supported our team in other ways. An even bigger thank you to Bass Pro. They provided breakfast and bowling free of charge to the team! The extreme generosity blew us away. Joey, team member, provided entertainment announcing throughout the event and even providing some Chichewa lessons. Our team also collected donations from over 15 local businesses for a silent auction. There were a variety of baskets from haircuts to gardening products, photo sessions to gymnastic studio parties. It was a fun competition to see who would be the biggest bidder! Are you interested in helping support the teams traveling to Malawi this summer? Many of the team members are still raising their funds. Visit our website to give online! You can also support teams through purchases in our COH Store. Sales from both the Zikomo t-shirts and Thank You cards go to summer teams. Zikomo!! Thank you for your support and help getting us to Malawi! Posted on March 11, 2013 by Karen Roller.